Parking entrance straight after RFM 4x4 Shop when heading towards the Gabba from Stones Corner or off Taylor Street ….. Plenty of Parking! Courtesy trolley for transporting your machine available! Loading zone straight out the front of our service centre for dropping off coffee machines for servicing. We guarantee to repair any all the domestic models of the following brands Rancilio – Wega – Bezzera – Vibiemme – Isomac – Expobar – Elektra – Rocket within 10 business days – no excuses. If we are unable to complete the repair of your coffee machine within this timeframe, we will provide you with a loaner machine until your machine is repaired. We guarantee all our repairs for a period of 90 days from the date of invoice. This does not extend to other issues that may arise due to a different part of the machine subsequently failing. Any repair guarantee issues will require the machine to be returned to our service centre. 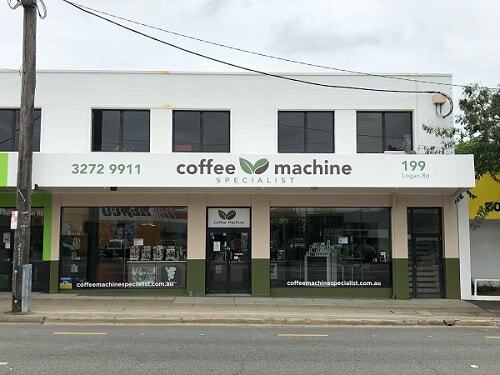 Coffee Machine Repairs Brisbane by the Coffee Machine Specialist is a guarantee to satisfaction and enjoyment of your machines for years to come!